Westchester county in the fall is pretty. This tree is in the courtyard outside my room. Gorgeous. 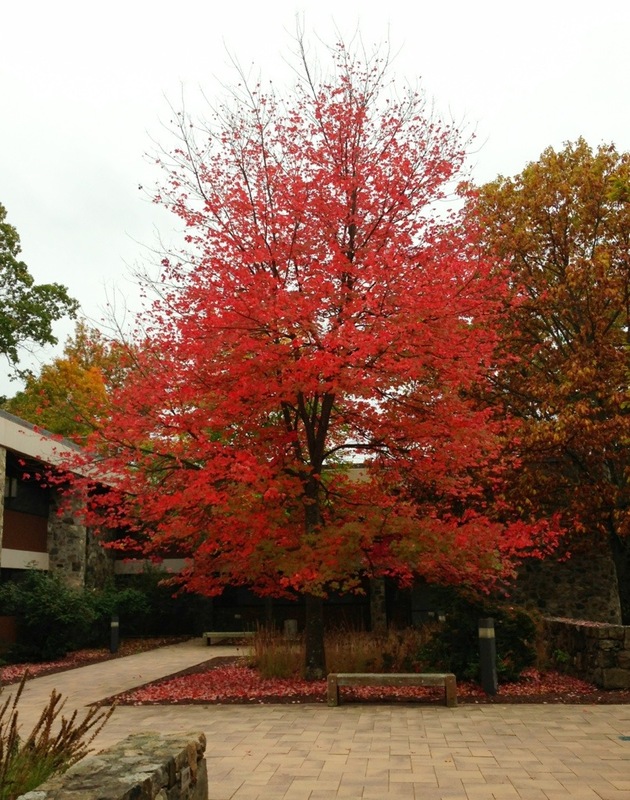 Author sheila365Posted on 10/16/2013 10/17/2013 Categories Life, NatureTags 365 project, fall foliage, New York, photoblog, photography, postaday, postaweek, red leaves, treesLeave a comment on Red foliage. It’s going to be a lean winter. Quercus shumardii (Shumard Red Oak). One of the things I enjoy about our little homestead are the many large trees that surround it. It’s a blessing, but also a challenge with the extended droughts we’ve experienced over the last few years. We just couldn’t seem to put enough water on the trees this summer, given the water restrictions we had, and the fact that our sprinkler system is currently out of service. Though quite stressed by the drought, most of them weathered through the summer. We lost a redbud out back (*sniffle*), and I’m not sure about the ornamental pear out front — we’ll just have to see how it looks in the spring. The Shumard Red Oak that graces the front yard is ginormous, and is a sight to behold when the leaves start to change. Even though it lost many of its leaves this summer, there are still plently left to fall (and to rake up in about a month). 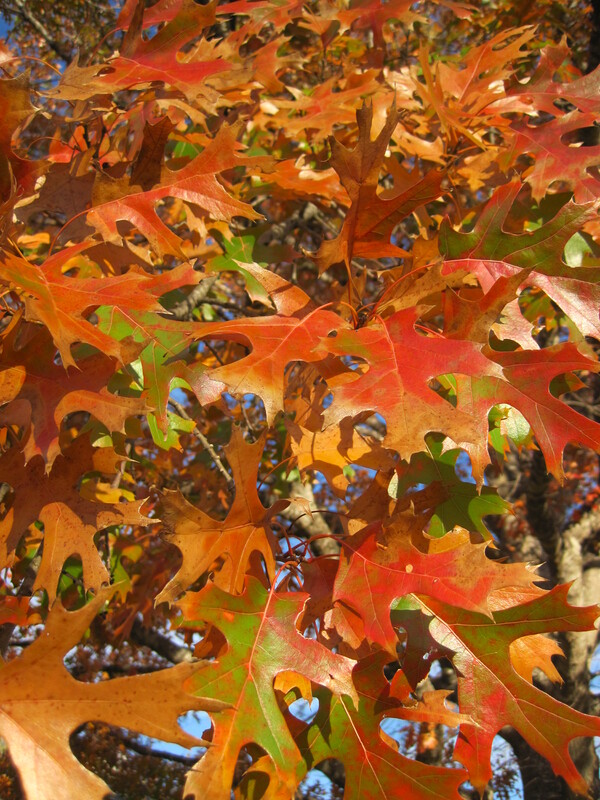 Author sheila365Posted on 12/27/2011 12/28/2011 Categories NatureTags 365 project, fall foliage, photoblog, photography, postaday2011, postaweek2011, Quercus shumardii, Shumard Red OakLeave a comment on It’s going to be a lean winter.